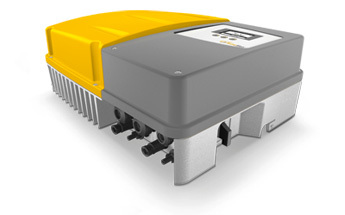 Some top tier string inverters manufacturers are ready to market upgrades of their grid products for off-grid mode operation. At least for some manufacturers, this should come as a board to be plugged-in inside the case without the need to unload the inverter from the site. This is very good news, for the upgrade is rumored to come at a very low cost compared to existing island-mode inverters. The upgrades would be marketed as soon as the regulation about off-grid mode solar plants was defined in high prospect markets, like Italy. The SMA Sunny Island 6.0H, for instance, comes a price tag around € 3.000,00 VAT excl. for installers. The product is specifically designed for off-grid applications and hosts lots of features like up-scaling flexibility, many custom configuration options and communication management. But for small residential plants who just look to increase their self-consumption amount the product is too much in terms of features and cost. Next Post: SolarCity DemandLogic | Is there any better way to show the benefit of batteries+photovoltaic system?